The hot new (alright, not that new any more) kid on the MOBA block, Heroes of the Storm, is a weird one. By taking out many of the staples that date back to the days of Defense of the Ancients, it’s got a lot for you to learn. 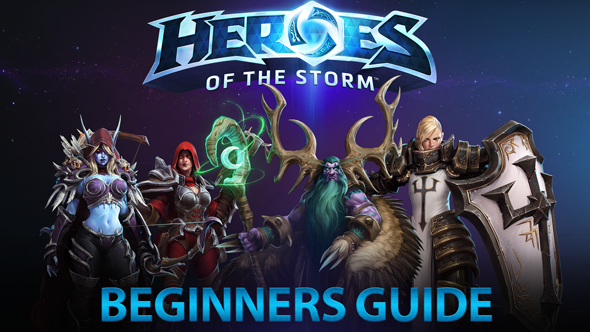 That’s why we’re here to help ease beginners into Heroes of the Storm with this super-handy guide. Is Heroes of the Storm the game for you? Find out in our guide to the best MOBAs. First of all: the basics. Unlike other MOBA games, HOTS has a lot of different maps with unique objectives. Every map is united by one prevailing theme: a team of five soak experience from multiple lanes, gain control of objectives, and use said objectives to destroy the enemy’s Nexus at the opposite end of the map. Every hero in the game is plucked from one of Blizzard’s games, like Warcraft and Diablo. The most recent inclusion is the Overwatch universe, and we’ve suggestedwhich Overwatch characters need to be added to Heroes of the Storm. Unlike other games in the genre, HOTS’ laning isn’t about killing creatures at the perfect time to gain gold: there’s no money or shop here. Everything comes down to experience, which is shared across a whole team. Rather than having the concept of ‘carries’, every member of the team benefits or loses out when experience is gained or missed. For a large chunk of games, your goal is to make sure you’re gaining experience by being near enemy minions when they die, while also looking to destroy structures (as they too grant experience) and kill enemy heroes. To constantly soak up that experience you’ve got to work as a team and spread out across the map, but also come together to fight over objectives. To be successful you’ll need to put together a good team comprising the right roles. 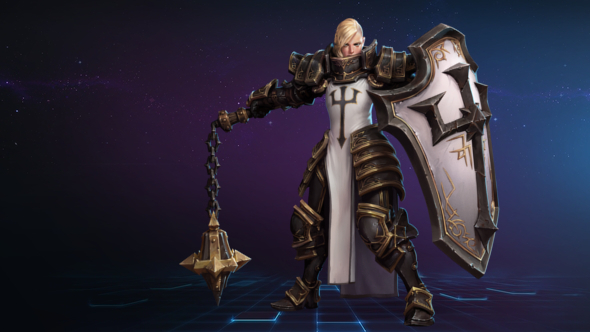 There are four basic roles in HOTS: Warrior, Assassin, Support, and Specialist. Warriors are brutes that can stay in a fight for a long time. Often lacking in damage, they make up for it with huge health pools and abilities that control fights; attacks that may stun, slow, or displace opponents. Having at least one of these is crucial for your team, although many teams will take two. Assassins, on the other hand, are quite the opposite. They lack health, but have huge damage outputs. Some are ranged, like Valla or Kael’thas, while others are melee, and need to get in the centre of a fight to do their work. You’ll often need two Assassins. Doing exactly what their name suggests, Supports enable allied heroes to work at their best through healing and abilities that keep them safe. One Support is always needed in a good team, and they’ll usually stick with an Assassin to keep their health pool topped up. The name for heroes that don’t fit into any of the above categories is Specialists. They can be anything, really. These heroes are often strange or unique in some way, and come with abilities focused on one particular niche. If you’re looking to fill that gap, HOTS’ Specialists can do exactly that. To really get a grip on what each of these roles do, let’s look at some of the best HOTS heroes for beginners. Hailing from Diablo, Johanna is pretty easy to get to grips with. She’s got a lot of innate tankiness, her talent builds are all pretty strong, and she can do a little bit of everything. With her abilities Punish and Shield Glare she makes it hard for enemies to get away and can deal lots of damage, while Condemn offers a great way to either kill enemy minions or displace a large chunk of the enemy team during fights. Her trait is a good Get Out Of Jail Free card: Iron Skin makes her unstoppable (immune to stuns, slows, and so on) and gives Johanna a chunky shield to withstand damage coming her way. Also coming straight out of Diablo, Valla is a highly mobile ranged Assassin who can weave spells between her attacks. 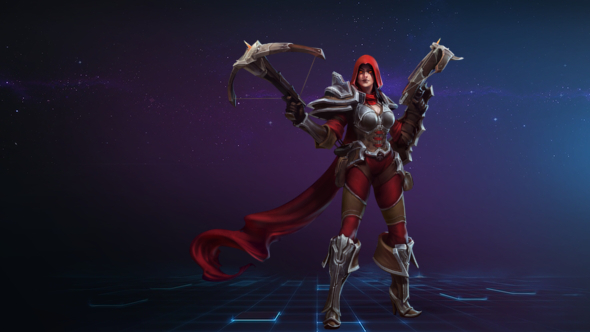 Similarly to Johanna, Valla can do a little bit of everything. She’s got some high area-of-effect damage with Multishot and her two heroic abilities, and can deal huge amounts of single-target damage thanks to a high base attack damage. She also has a good chance to escape from enemies that get too close with the Vault ability. Some assassins are rather immobile and so punish players that can’t find the right way to position themselves in a fight. When you’re learning, Valla’s mobility will be an excellent way to try and learn positioning, without the punishing feeling of being unable to escape if you do make a mistake. 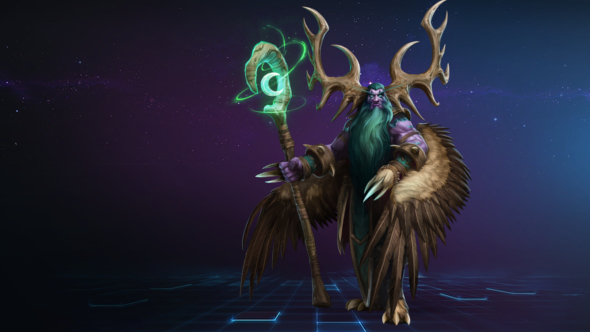 Moving over to a Warcraft character, Malfurion is a great Support to learn Heroes of the Storm with because, simply, it’s hard to get him wrong. His abilities are all very simple: a point-and-click heal, an area-of-effect damaging ability, an area-of-effect root, and two always-effective heroics. Like many other Supports, he has no mobility, but that’s fine because he’s got a pretty huge range which can be increased. When playing Support you’ll often be sat on the back lines of your team, pumping out heals and keeping allies alive. Malfurion makes that job easy. The Banshee Queen of Warcraft, Sylvanas is one of the simpler specialists to play, and is often effective without needing to have the skills of a professional StarCraft player. Her unique trait is that her attacks and abilities disable enemy structures and minions. That means they’re prevented from firing for a limited time, making her extremely strong at sieging fortified areas with her allies. This is a good way to get used to the idea of attacking a point as a team: while you can push down structures on your own, it’s best done as a group. 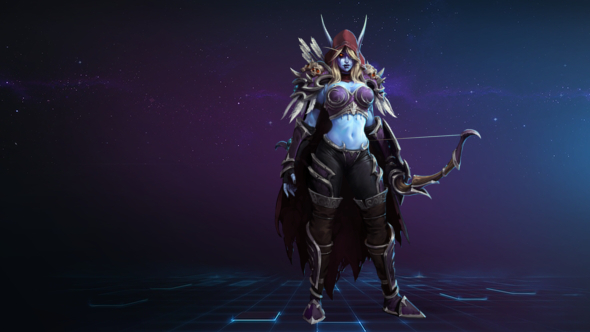 Sylvanas should gently nudge you towards the right mindset: work together in HOTS. Every hero in Heroes of the Storm gets new talents at levels one, four, seven, 10, 13, 16, and 20. Talents augment existing abilities and offer new ones for heroes to use. It would be impossible for us to go through every single HOTS talent build right here, so instead we’re going to help you understand and create your own builds. Most supports have the opportunity to take Cleanse at level seven. It allows them to make a targeted ally unstoppable, removing all current negative effects on them. This is a good example of where you’ll have to make a decision based on the flow of the game: are your allies often being stunned, slowed, or rooted, and dying as a result? Or are enemy heroic abilities, the ‘ultimates’ gained at level 10, going to focus on locking down your allies with stuns very soon? Talent builds will never accommodate all scenarios, and Cleanse is a good example of where you’ll need to think on your feet with HOTS talents. If you’ve got the fear for those negative effects, take Cleanse. One of the talents available at level 20 for some heroes, Bolt of the Storm allows the hero to teleport to a nearby location. It can be a useful escape against enemies that like to jump in your face, a way to engage in a teamfight, or simply reposition around the opponent. The question is: do you need that mobility? Often the answer is yes; being mobile offers so many more opportunities to survive fights that were otherwise lost, or a way to punish enemies who are out of position. But again, you need to consider your opponent: what will their level 20 choices be? Will you be the focus of teamfights, and will that ability to teleport help you do your job better? What you may have noticed is that a key part of talent builds in Heroes of the Storm is reacting to what your opponent can and will do. Some heroes make up the primary portion of a team, so if you can deny them from dealing huge damage it’s important to do so. 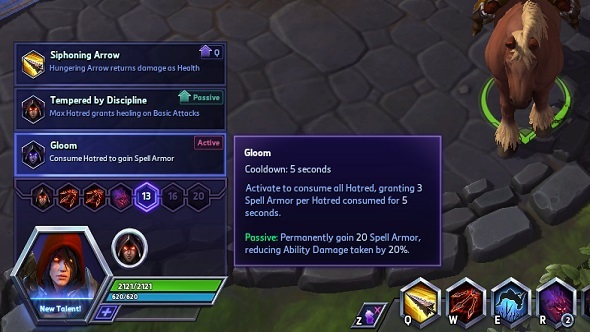 As a basic example, if the enemy have multiple spellcasters and you’re playing Valla, the level 13 talent Gloom will make you just that bit harder to kill. When you’re not responding to the opponent, there’s a couple of ways to go into creating a talent build. The first is through websites like HOTS logs, a site which collates data from thousands of Heroes of the Storm games. There you can check out what other people are doing, and see how well it performs. This is a good way to see what other players are considering the ‘best’ Heroes of the Storm builds to be, but it’s certainly not foolproof: like any hero talent guide, it doesn’t account for all situations. You’ve got to adapt. On top of that, if you don’t understand why a talent is chosen over others, you may not use it to its full potential. So instead, the first thing to do is experiment. Either on your own in practice games, or in quick matches if you’re feeling confident, experimentation is how you understand. Try out new things, work out how talents can interact, and so on. If you are looking for safe ways to build your hero, though, a reasonably effective way to do so is by taking talents that augment a key ability. For example, there’s three build paths Valla players typically take: one makes her Hungering Arrow stronger, another makes Multishot better, and a third makes her basic attacks hit harder and faster. Each of these build paths work well, but the key is to take all of the possible talents for that one ability. Put as many eggs as you can into that one basket. This is usually effective because it specialises the hero in one area, so they’re less of a jack of all trades, master of none. Perhaps the greatest tip we can give you is this: just try new things out. Heroes of the Storm rewards players who don’t stick to the same build their favourite pro player always uses. Sometimes new things won’t work, but sometimes they will. Keep our tips in mind when learning the game, but remember that it’s great to try something new. You’ll never learn everything from a guide, so be open to experimentation. What heroes did you learn the game with? Share some of your tips on them below!